"A magazine highlighting the extraordinary achievements of women throughout history and recognizing the obstacles they have had to overcome in order to reach their goals"
to see what other women are doing! Ask Pauline Hord to tell you her greatest life accomplishment, and her answer may surprise you. You might expect her to say that it was being one of President Bush’s Points of Light, her extensive prison ministry, her long-standing teaching career in the Memphis city schools or her awards for excellence in education and community service. Instead, she says it is the publication of her new book Praying for the President: A Daily Guide of Scripture and Prayer. Praying for the President shows America how five minutes a day can make a difference in our nation, and in our lives. For Pauline, Praying for the President is simply a further extension of her own prayer life. In early childhood, she experienced the power of earnest prayer. Six years her senior, Pauline’s brother had broken his leg and it was in a cast. Early one day, when the telephone rang, he jumped up to answer it. As he made his way to the phone, he stumbled over Pauline, breaking his leg again. 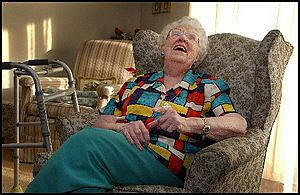 Pauline says with a smile, “As I’ve gotten older, I sense the Lord’s presence more. I talk to Him all the time-about little things, big things, future things and present things. The older you grow, the closer you grow to wanting to know what He wants you to do, to say, to be the person He wants you to be for His glory so that you would reflect Him in the lives that you touch. That’s our main purpose-helping somebody else along the way. Where He leads me, I will follow.” For those interested in reading more about Pauline and Praying for the President , visit her online at www.prayingforthepresident.com. http://www.scienceofmindincostarica.com - to get great academic writing tips. All content on this web site is copyrighted by History's Women © 2000 -2015 and may not be reproduced without express permission.